"They voiced out their emotions and opinions. With this, the 'church' is included in the issue." NOTE: This article is a personal opinion and insight of the author. The author has no sole intention to defame or in any other means destroy the image and credibility of a group, corporation, person or any entity whatsoever. Opinions published in this article are based on a social media discussions of several forumers and it is a healthy discussion for a virtual society like the social media. 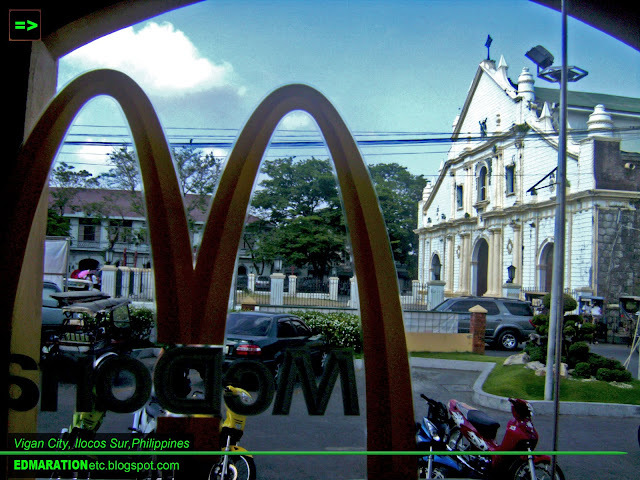 When the McDonald's Store opened in Vigan several months the town's cityhood was ratified, the store became an instant topic for everybody: the residents, tourists, visitors and even strangers. 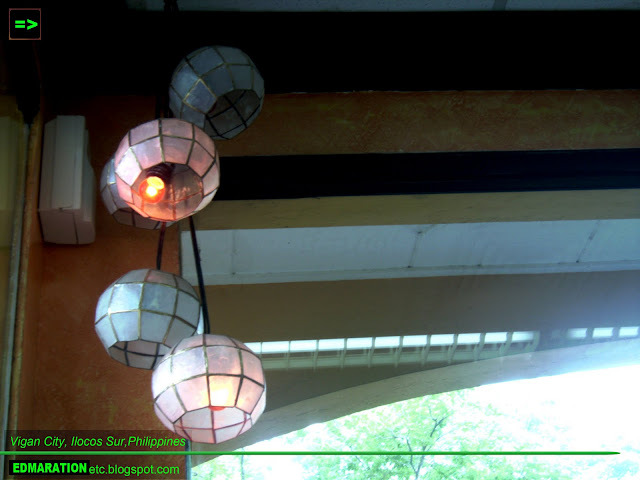 A branch located at the atrium of the UNESCO World Heritage city, the only one in the Philippines, buildings and structures are regulated to maintain the architectural harmony of the city. My friends as far as Laoag City, Manila and some other friends I have met talk about MCDonald's Vigan Branch. The main reason is their awe of its grandiose architectural design. Of course, who won't fall in love with the beauty of the preserved old Vigan town bringing you back in the past and McDonald's also having it's slot in the old city. To complete the entry of McDonald's in this highly-regulated city, it should comply with the building requirements of the city. Truly, the architectural beauty of McDonald's Vigan Branch is very descent and charming. 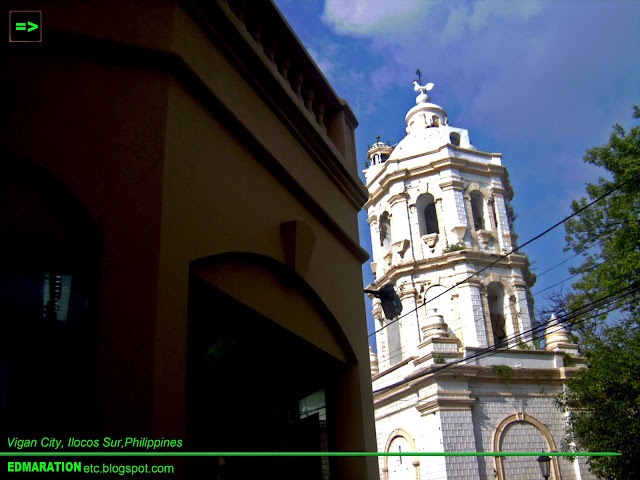 It is located in a location near the old Plaza Burgos, Plaza Salcedo, the Vigan Metropolitan Cathedral, and other interesting places of history. 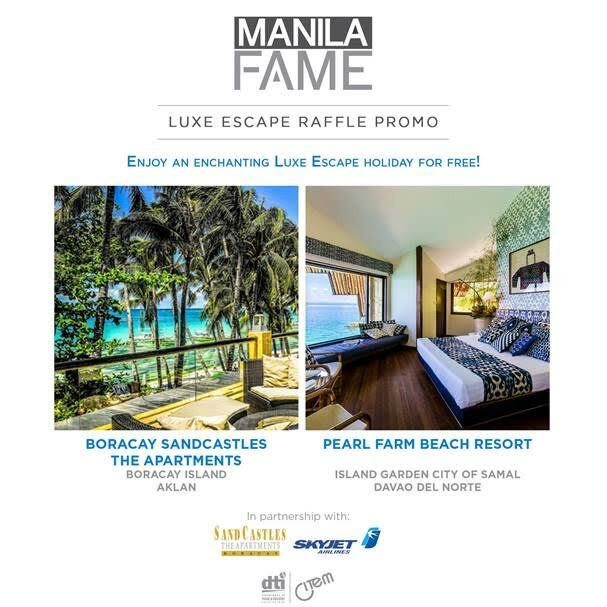 While dining, one could just enjoy and be inspired with old transport system of the city which is still surviving amidst the prevalence of motorized vehicles. Calesa,a horse-drawn carriage is almost everywhere at the heart of the city. While dining, you can also view the majesty of the Baroque architecture of St. Paul Metropolitan Cathedral. The location of the store is really awesome. 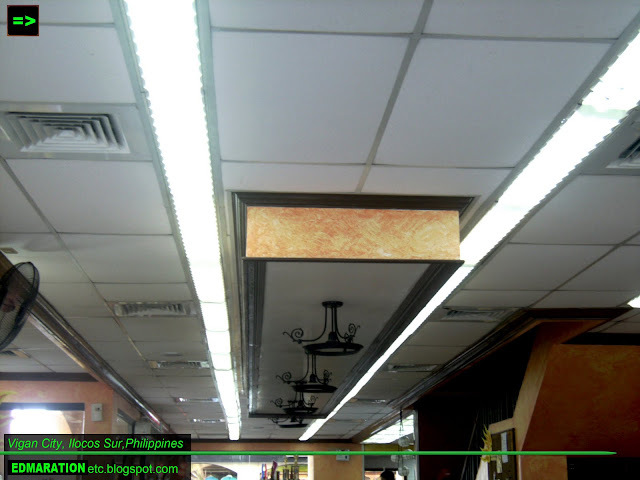 To complete the entry of McDonald's in this heritage city, even the interior should be scrutinized if it complies with the archtectural requirements for the strict Vigan City government. Somehow, it passed because this store is already gaining the benefits of the thriving tourism industry in the city. 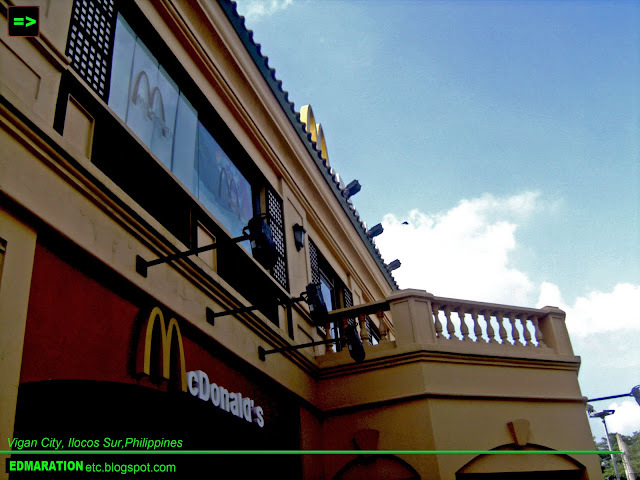 I was joining a forum for urban enthusiasts and I have been posting a lot about McDonald's Vigan. Many forum members were commenting that this store is just lovely and awesome. I also went to the Philippine Heritage Conservation thread and while posting it so, I was so embarassed with their comments. In this forum, I learned how the Philippine Heritage Conservationists were so disappointed with Vigan and McDonald's. I thought it is somewhat appreciated. But for these conservationists, it's not. They voiced out their emotions and opinions regarding this. And with this, the "church" is included with this issue. Here are some of the screenshots of their comments. The source and the users aren't included to protect their anonymity online. Just click on the image to enlarge. There you have those insights. I never expected that our Filipino conservationists took this so seriously. It started after posting the McDonald's photo saying that it complied with the requirements of the city but my statement was rebutted. The location of McDonald's Vigan today including the Jollibee, the Plaza Maestro commercial center, etc. is the site of the old "seminario" as was stated by one forumer. I didn't really know about it until they told me. The old "seminario" was demolished to give way for McDonald's, Jollibee and the Plaza Maestro Shopping Center by which, however, all "complied" with the building requirements. However, the contention of the conservationists is that, why the old "seminario" was totally demolished? That old "seminario", though hit by fire, should be restored like what others done in some old houses here. Is it to give way for business? 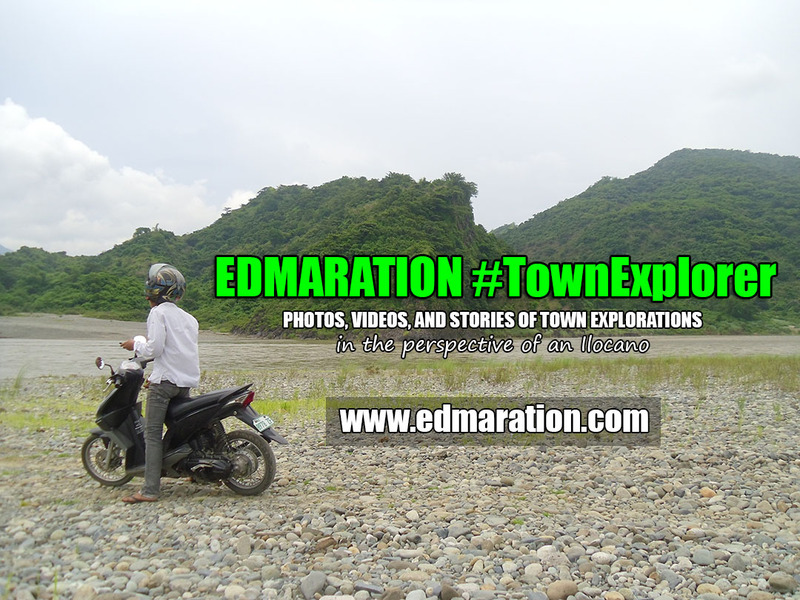 As stated at the screenshot, the land is for lease and it is owned by the clergy or the Roman Catholic church in Vigan. It is a matter of business. Being a proud Ilocano blogger, I didn't know what to say. I don't know if I should be proud of the grandiose McDonald's store of Vigan or to just keep the issue behind. Well, everybody is always entitled to their own opinion because it is a freedom inherent to men. For me, the old "seminario" is a witness of Vigan's rich culture and history. It is a heritage and once gone, always gone, so it is more deserving to stay in that location. The new commercial establishments could have still found another place to stay but then, the location is the best place for business. Really, I don't know what to comment. If you have some insights, let me know, post at the comment box below.